If I come to dinner at your house, I am going to help you clean up. It's just how I am. If I just enjoyed a turkey dinner at your house, I am totally going to motion to your turkey carcass and say, "You're not going to throw that away, right?" If you are going to throw it away, I'll ask you kindly for two garbage bags and I'll be taking a turkey carcass home with me like a distant relative to a redneck. 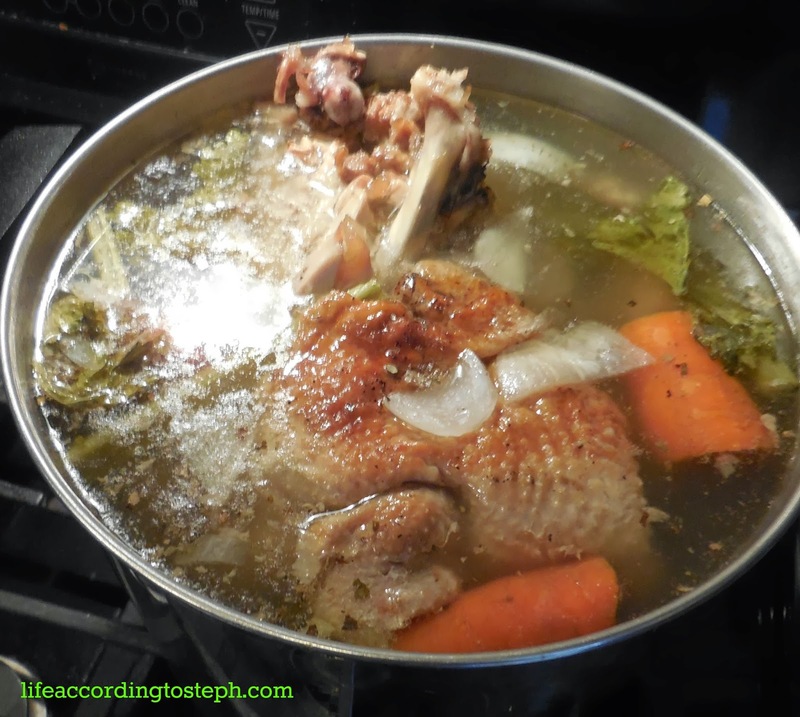 There is nothing in the world like soup that starts out as stock made from a carcass. Nothing. This is the soup I made from the Sannelli Christmas Turkey Carcass. 1 cup rice - I used 3/4 cup brown minute rice and 1/4 cup white regular rice. I wanted to use wild rice but I was fresh out. Preheat oven to 425. Toss carrots in 1 TBS olive oil, sprinkle with salt and pepper, and put on a baking sheet. Roast for about 25 minutes. The roasting ends a depth of flavor to the soup. Remove and set aside. Heat 1 TBS oil in a soup pot. Add onion and celery and saute over medium for about 5 minutes. Add garlic and let it go another minute or two. 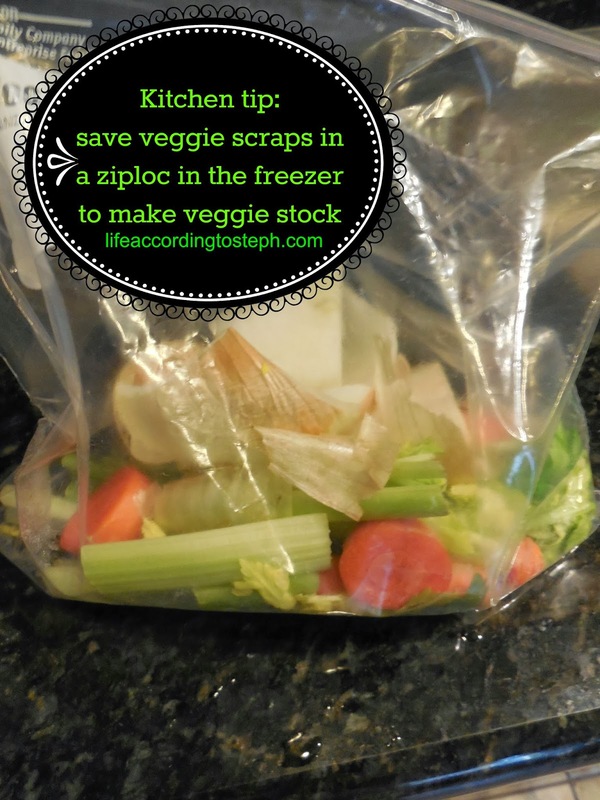 Add stock, carrots, and frozen veggies to pot. Bring it up to a boil. Add rice and turkey and let cook for 12 minutes. Add corn and cook another two or three minutes. Add salt & pepper to taste. Steph's walk down obscure 90s TV shows memory lane. MFD insists I look like Brad from Hey Dude in profile, and I do. Go jog your memory. I just did this with a chicken carcass on Sunday. It's brilliant, right? I help clean up, especially when we're at Scott's friends' houses because I never know what else to do…there's not a whole lotta room in conversation for an elementary school teacher when all the other people are in the army (even the wives) and I have no idea what they're talking about. Yum yum yum. I've got a chicken carcass and some wings stuffed in the freezer just waiting to make something like this. Thanks for the recipe! my mom does this all the time. her soups are always fresh made and whenever i open the pot, i see a huge chicken carcass and veggies and other stuff. and it's so good! i need to learn how to do this...for real. Mmmmm soup. I do love some soup! 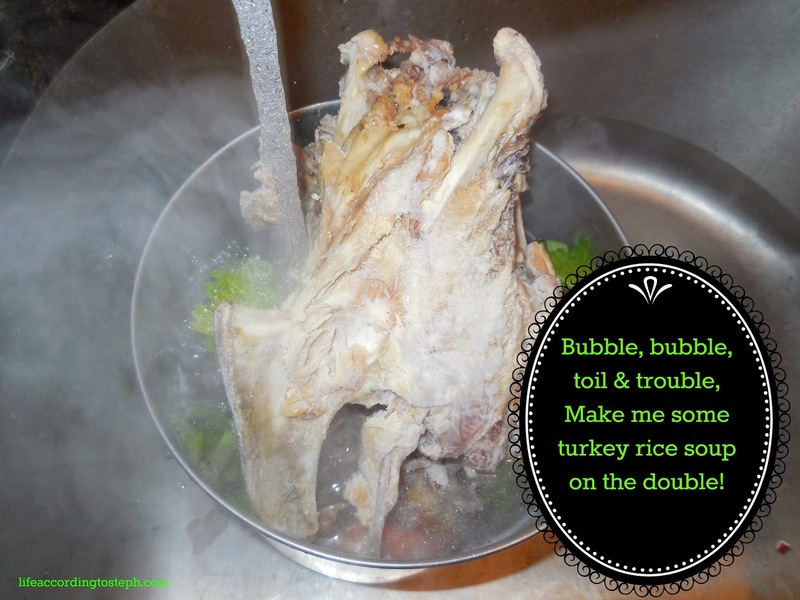 I have never made turkey soup, perhaps it is time! Perfect day for soup. But, then, in this weather, soup everyday! I am making the potato soup today with the excellent chicken stock I made using chicken wing tips and about a cup of frozen turkey gravy. 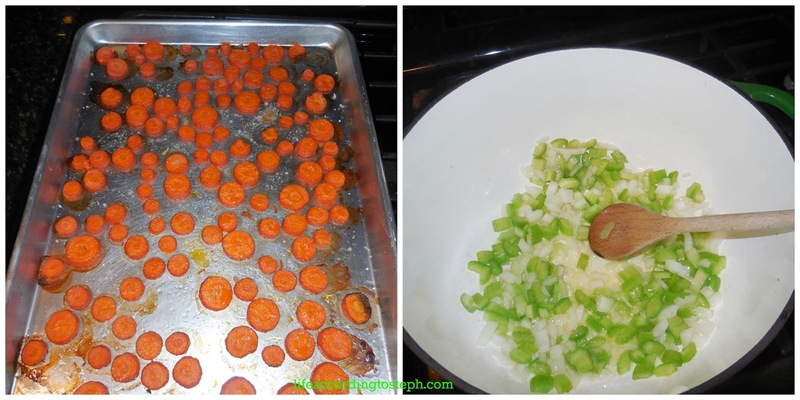 Love the roasted carrots idea and have been saving my leftover veggies in the freezer. Stay warm ! High of 50 to look forward to this weekend. #I'lltakeit. Carpe diem this sunny day! 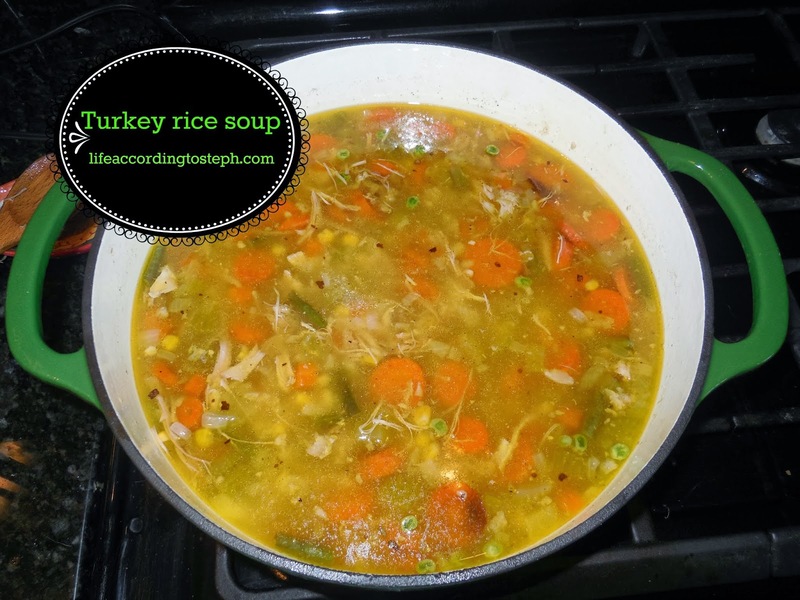 turkey rice is one of my fave soups!! I kind of want to be you when I grow up. That looks redonkadonk. That looks so yummy Steph! I love soup made from homemade stock. Fortunately, Aaron likes to make said stock so I don't have to deal with the carcass, which kinda grosses me out. That looks delicious. Soups right now are just the perfect meal- because it's kinda fricken cold. Mmmm. this is the best kind of soup. makes it so flavorful. also, you are invited over to my house any time. I sooooo need this on our iced in ice day.....hmmmm-hmmm good!!! What if I ordered pizza and we ate off of paper plates? Would you still help me clean up my place after? If so, would you like to come over for pizza this afternoon. Is it weird that even though we have never met, I could totally see you being like "soooo about that turkey carcass." Ha! My sister in law does this all the time with and her soup always comes out amazing. It definitely gives it a better taste.